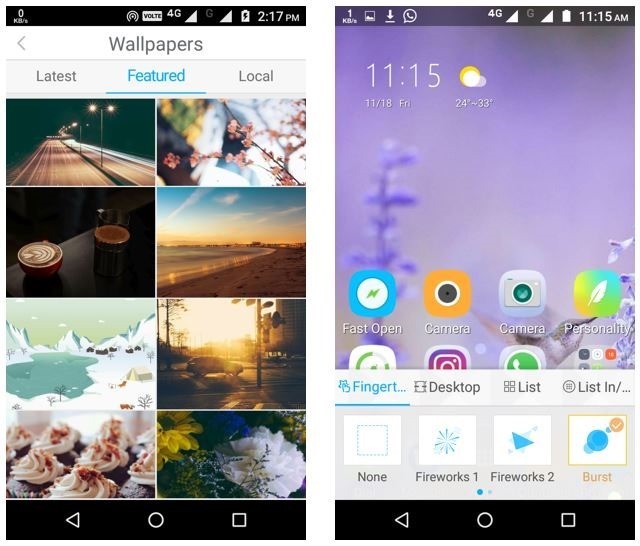 91 Launcher Pro is an Android launcher app that lets you choose from an array of themes, and HD wallpapers to make your Android experience personalised and interesting. Let’s take a closer look at the main features and the user experience of the 91 Launcher Pro in this review to check if it is worth installing. Under the ‘Personality’ section of 91 Launcher Pro, you will see different sections for Theme, Wallpaper, and Search. The Theme section of the app has themes sorted by ‘Popular’, ‘Rank’, ‘Category’, and ‘Local’. The Popular section displays the best of themes in a chronological fashion. The Rank section on the other hand, shows themes on the basis of their user ratings. The Category section lists themes into various categories like Chinese style, sports cars, simplicity, sketch art, love, cartoon, and many more. Neon, Sunset, Purple, Bull-puncher, Strawberry, Working, and Cool technology. Just check out these themes in case you are in a hurry and don’t want to spend much time in selecting and applying a new theme. The app also has wallpapers of various types including cartoons, pets, landscape, etc. The app also has a shuffle feature that changes the wallpapers without any user intervention. Similar to the Themes section, the Wallpapers are also organised into ‘Latest’, ‘Featured’, and ‘Local’. The Latest section shows new wallpapers according to their release date. The Featured section lists the best of the wallpapers. This would be immensely helpful to those who don’t have time searching for the best wallpapers. 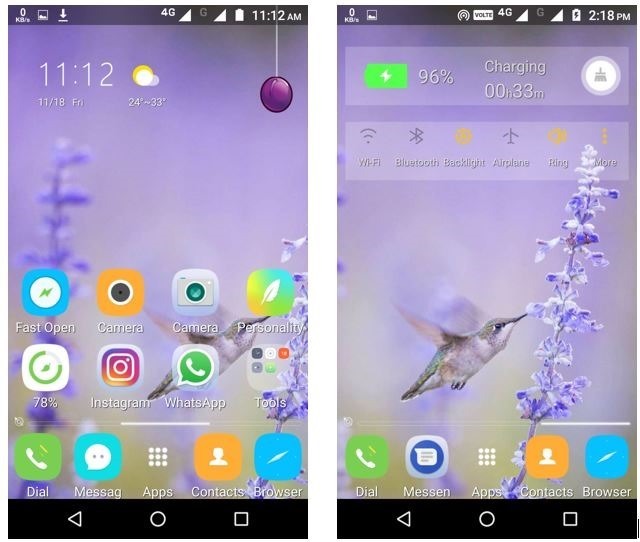 Similar to other Android Launchers, the 91 Launcher Pro also allows the users to select various effects (Random, stack, zoom out and zoom in, windmill, TV, Roll, Flip, Snake, etc.) for various interactions like finger touch, desktop scrolling, and list scrolling. Under the 91 Shortcut folder, you will find shortcuts to various apps like Menu, Preference, Preview, Wi-Fi, Apps, Manager, Notifications, Status Bar, and an option to add even more shortcuts. 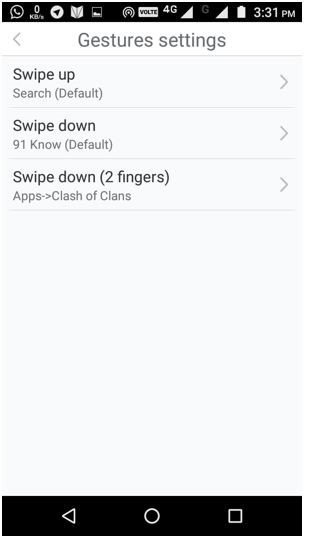 When tapped, the Menu takes you to the 91 Launcher menu having various settings like Effects, Beautify, Personality, Preview, Settings, and Preferences. Another interesting feature of 91 Launcher is that you will find an option to lock every folder even on the home screen. All you privacy freaks would love this. 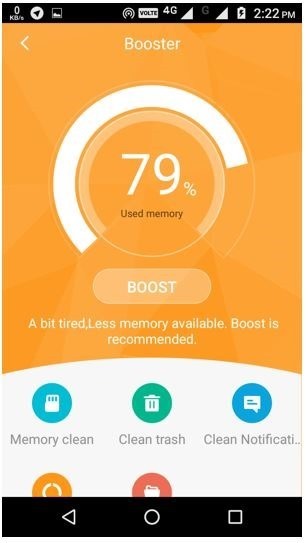 The Cleaner app has many features for optimising your phone including boost functionality, memory clean, clean trash, clean notifications, auto-startups, and cleaning big files. The Boost feature works like it means. It boosts your phone performance by freeing up RAM and thus optimizes the performance as well as the battery life. Out of all these features, I liked the auto-startup feature the most as it allows the user to control which apps would auto-start on system boot. Unfortunately, it requires root access on your Android smartphone, and we don’t recommend doing that, not to the regular Android users. Also keep in mind that rooting your phone might void its warranty. The Quick Search is a universal search bar which can be used to search the internet (supports search engines Google, Yahoo, and Bing). 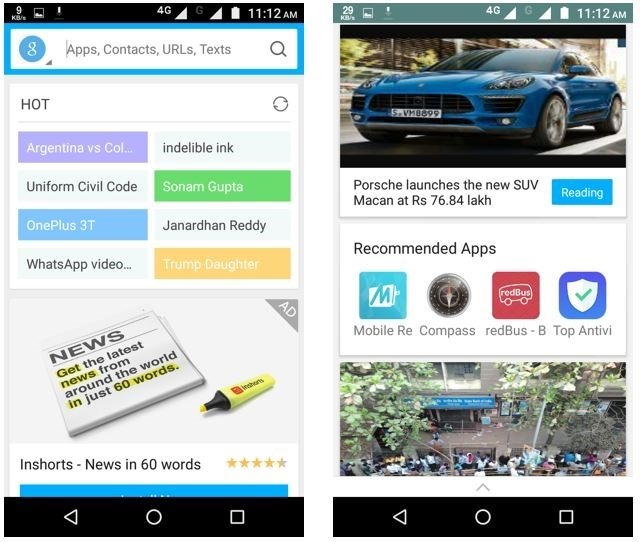 It also displays the hottest search keywords to inform the user about them, along with an ad (of course), and a list of most frequently used apps. You will also see an Instagram-ish news feed upon swiping down anywhere on the home screen. This feed is again embedded with ‘Recommended apps’, and wallpapers tagged as trial. 91 Launcher Pro supports a unique menu style called ‘Box Menu’. 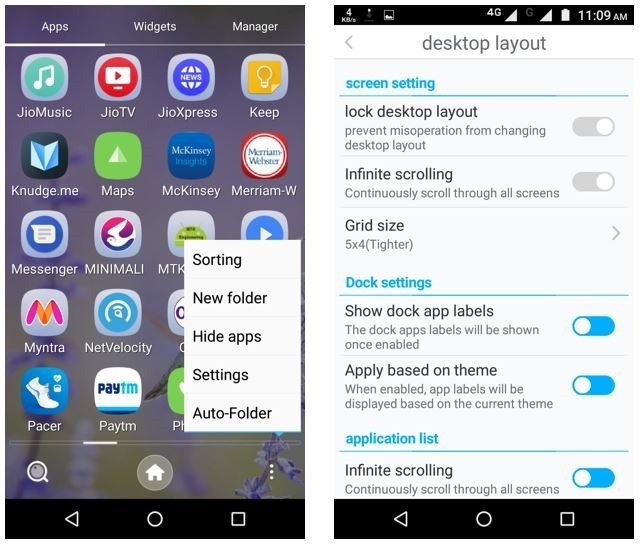 The app allows you to sort installed apps in various orders, and hide those you don’t find anyone to see on your phone. You can also tweak the desktop layout according to your taste. You can adjust the grid size of home screen and application list, enable infinite scrolling, show dock app labels, and change the background transparency. In built-in support for gestures (swipe up, swipe down, and swipe down with 2 fingers) can let you do different things quickly. You can even choose to launch an app when you perform a particular gesture. The developer, Felink has done a good job at designing the 91 Launcher Pro. The app has a large repository of wallpapers and themes, and also keeps the user updated with latest happenings across the globe via its news feed and hot keywords. You can tweak your home screen in any way you want by adjust the app grid size, choosing a transition effect, and do things quickly by gestures. All of these combined makes for an excellent ecosystem that encourages user interaction, but I found the launcher to be full of clutter. The news feed and other functionalities are very useful, but displaying an ad or a sponsored image after every 3-4 stories is something the users would not like. This spoils the user experience greatly. We are looking forward to a leaner and simpler update to make 91 Launcher Pro much more user friendly that not only helps user avoid the plain boring Android launcher, but also makes them more productive. Download and try 91 Launcher Pro now and see why it is worth waiting for an update. Disclaimer: This is a sponsored post, however, the review has been done in completely neutral manner without any inputs from brand! 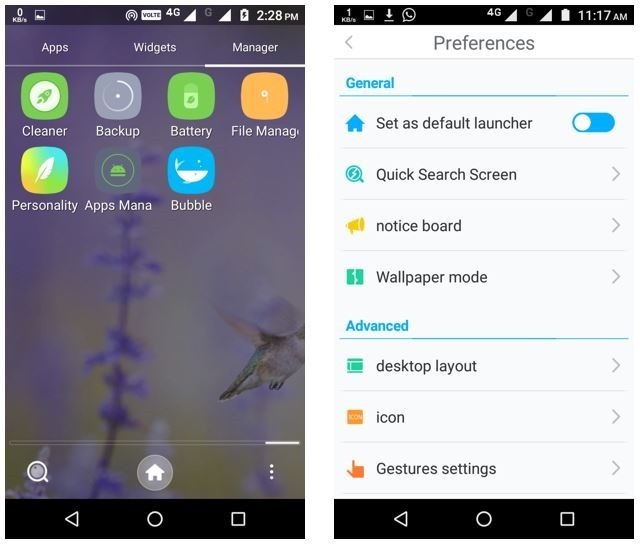 "91 Launcher Pro Review: Great Intuitive Launcher, But with Clutter! ", 5 out of 5 based on 3 ratings.